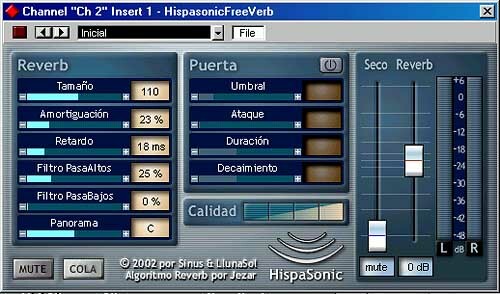 A cool free reverb plugin based on the Freeverb code by Jezar ( http://www.dreampoint.co.uk) - Filter, panorama, Vu meter and more - DX or VST plugin format, PC only. 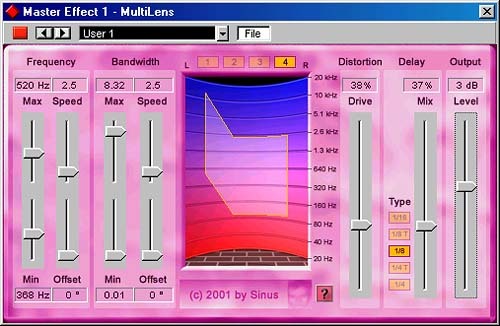 Panorama fader - allows you to specify the position of the reverb in the stereo field expiriment on that, f.e. you could use 2 reverbs with different settings. 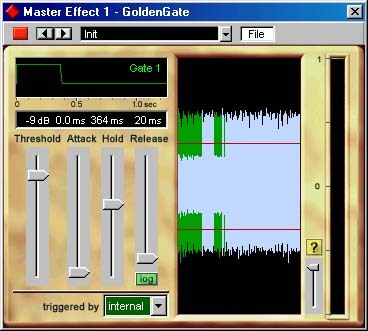 Threshold fader - sets the level �threshold� at which the gate opens, in dB Only signals which exceed threshold will trigger the gate to open. 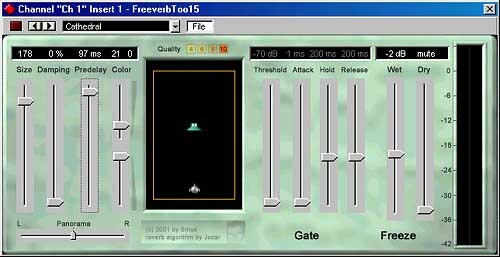 Gate switch - activates/deactivates the gate Note, that the gate will cut off the reverb. 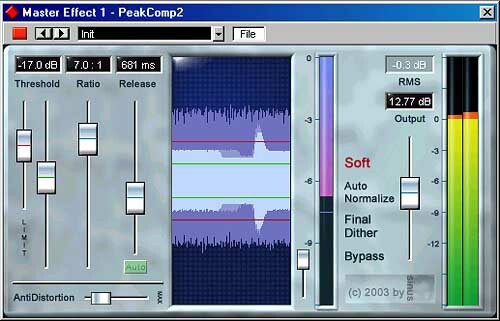 This effect is mostly used on drums to keep the overall mix transparent. 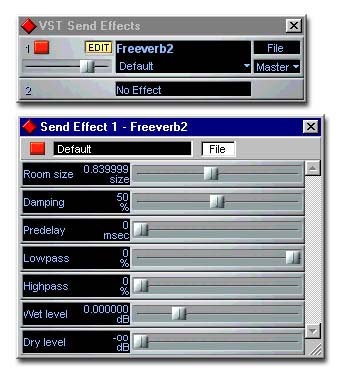 Turn it off when using FreeverbToo for example on vocal tracks.